Java programming language and Platform has been very lucky in terms of frameworks, standards, and libraries, I guess which is one of the important reason for its huge success. Apart from standard frameworks like Swing for desktop GUI application, JavaFX, Servlets and JSP, EJB, and JSF, there are a lot more open source framework and libraries available for Java programmers. These Open source framework, not only helps and speed up development but also enforce to use best practices required to build enterprise Java application and desktop application. Frameworks like Spring, which in my opinion gives a much-needed boost to the Java platform, enforces dependency Injection design principle at the core, which is key to build a loosely coupled system. Similarly, Struts and Spring MVC has made web development lot easier, rather than just using Servlet and JSP. Java Programmer, both beginners and experienced, must know about these frameworks, they not only help them in their work but also to get a Job as more and more companies are adopting framework based development. I have seen so many resumes which are not considered for interviews because there is no mention of Spring, Struts or Maven. Though I don't agree with this practice because if you are good in programming, OOP design, and Java, you can easily learn those, it does happen in the real world and there is no harm in mentioning these frameworks in your Resume if you have learned them. In this article, I will share top 10 Java Frameworks for web developers, which include core Java framework, unit testing framework, Java web development framework and of course build frameworks. It's a good idea to at least know about these open source Java libraries and framework so that you can learn them in detail when the need comes. Here is my list of some of the essential frameworks and libraries for Java web developers. The list includes web development frameworks like Spring MVC, Struts, Seam, Primefaces Google Web Toolkit, and ORM tools like Hibernate, testing libraries like JUnit and Mockito along with Eclipse RCP platform for creating desktop GUI in Java. No doubt that Spring MVC is the best Java web development framework till date. In many ways, Spring made Java development easier, streamlined and gives it much needed a boost. Spring on its core provides an IOC container, which takes responsibility for managing System objects and wiring them together, but that's just one of the Spring functionality. Spring has a suite of libraries, which is key for enterprise Java development. Spring provides Spring Security, which a top-class Security framework, provides an easy way to implement LDAP authentication, Open ID authentication, Control on concurrent active sessions, and several other useful features Out of the box. 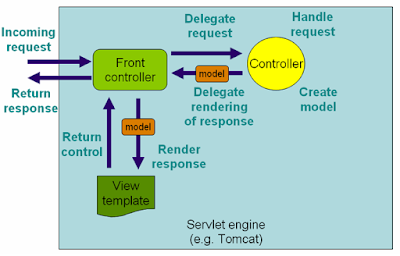 Spring MVC is another pillar of Spring framework, which provides an implementation of the Model View Controller design pattern, and also enforce several other Web-related best practices e.g. View Resolver. The latest release of Spring 5 has also added support for Kotlin, the official language for Android development and some reactive programming features, which is very useful for developing modern web applications. Apart from these, there are lot more Spring offers you, check Spring Masterclass to learn more about Spring. Before Spring, Struts was king of Java web development framework. In his days, it was the best Java MVC framework and till date used in large companies. Web applications written during early 2000 are mostly written on Struts. Anyway, Struts has come a long way then. Struts 1.0 has gone and today's Struts is mostly Struts 2.0, see the difference between Struts 1 and 2. Despite the immense popularity of Spring MVC, Struts 2 still holds it's placed. It's good to develop simple web 2.0 applications. I believe legacy code with Struts 1.0 and the existing pool of Struts developers will keep this framework alive. If you want to learn Struts 2 frameworks for your project, then Struts 2 Framework for Beginners is a nice course to start with. There are not many courses out there to learn Struts and this is the best one I have found. JUnit is the best Unit testing framework for the Java application. Having JUnit on your resume makes a positive impression. Though JUnit is there for a long time and almost become part of Java application development, it took a big leap with JUnit 4.0, which uses annotation to write unit test even more easier. JUnit 4.0 annotations added a lot of convenience and power to unit test, It makes easy to write a unit test for checking Exceptions. Though TestNG is another useful Java testing framework, JUnit has its own place. The latest version of JUnit, JUnit 5.0 also has some useful features which make your test more readable and powerful. 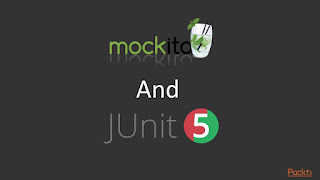 If you are serious about learning the unit testing skill to improve your career prospects I suggest to start now and JUnit and Mockito Crash Course is a good place, to begin with. I am not sure if you agree to mention Maven as a framework, but to me, it looks like a build framework. Before Maven, ANT was extremely popular and almost all companies have their own build framework based on ANT. Now, Maven rules. The biggest strength of Maven is convention over configuration, with ANT you need to define everything e.g. source directory, target directory etc. Maven enforces a standard project structure and uses reasonable default values to simplify build procedure. Another thing, which makes Maven a great Java framework is a concept of maven repository and dependency management, It's super easy to include new dependency with Maven than managing a whole lot of JAR files. 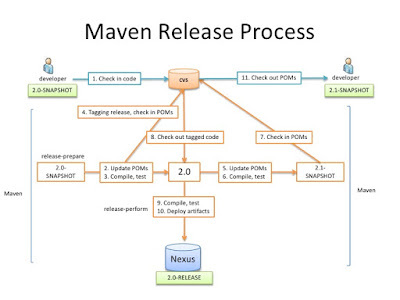 If you don't know Maven, start learning it now. Use Eclipse IDE and M2Eclipse maven plug-in. It's worth learning. The Maven Quick Start is a good point to start your journey, it's also a free course on Udemy. Spring and Hibernate were one of the most desired skills set a couple of years back. Though EJB 3.0 spoiled the party a bit, Hibernate is still a great Java persistence framework and worth learning. Projects either use JEE or Spring for development, and Hibernate fits well with Spring. Also, it's one of the pioneers in the Object Relational framework, known as the ORM framework. Now there are a couple of alternative available e.g TopLink but Hibernate is still the Market leader. Hibernate is also a good skill in CV, and you are likely to see a couple of questions from Hibernate e.g. Difference between getting and load or save vs update vs persist during Java interviews for web development. If you want to learn more about essential Hibernate feature then Hibernate and JPA Fundamentals is a good place to start with. PrimeFaces is a Java Framework which provides JSF component to develop a rich web application. PrimeFaces provides a rich set of components for Java Server Faces 2.0 e.g. HtmlEditor, AutoComplete, Dialog etc. It also has built-in support for Ajax based upon JSF 2.0 Ajax APIs. PrimeFaces is lightweight and easy to use. It also has good community support, which is key to the success of any open source framework. Seam is a Java web framework from JBoss. There are a lot of good reasons mentioned in Why Seam page of Seam Framework. Some of them include its Ajax support, the easiest way to use EJB 3.0 and the best way to leverage JSF. Though I haven't used Seam yet in any professional projects, It seems a good web framework, which demands evaluation. 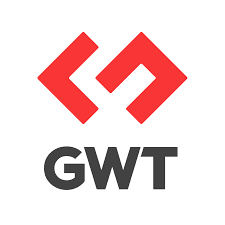 GWT or Google Web Toolkit is one of the best Java Web Framework from Google. GWT allows you to build a rich Java web application by providing powerful user interface capabilities. There are lots of plugins, tools, examples available from Google, which can help you to learn GWT quickly. Though the learning curve is a bit more if you are coming from Spring or Struts background. GWT can be used to developer browser-independent AJAX-based applications. Mockito is a Java testing framework for creating mock objects. Though there are a couple more mock objects frameworks like JMock and EasyMock, Mockito is one of the best and easy to learn. Mockito has simple and clean syntax but same time rich enough to support that. One of the drawbacks of Mockito is that it doesn't support mocking of static methods, but you can use combine Mockito with JMockit to do that. 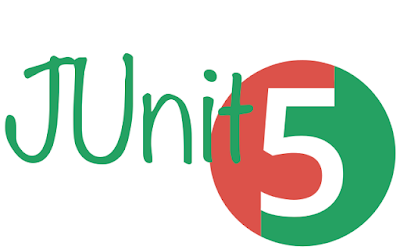 Apart from JUnit for unit testing, learning one of the mock object frameworks gives a new edge to your unit testing capability and if you are looking for a good resource to get going then is Mockito Tutorial: Learn mocking with 25 Junit Examples a great place, to begin with. Eclipse RCP is one of the best Java frameworks for developing a rich desktop application. By the way, when it comes to building desktop application in Java, Swing rules, but Eclipse RCP is no way behind. It's free, has great tutorials and good documentation. That's all on this list of Top 10 Java frameworks and Libraries guys. Java is rich, very rich and there are a lot of open source web frameworks available in Java, It's often a good idea to do some Googling before choosing any web framework for development. Apart from mentioned above, let us know which Java framework you have been using, which are your favorites ones. Thanks for reading this article so far. If you find these open source Java web development libraries useful then please share with your friends and colleagues. If you have any questions or feedback then please drop a note. Make sure you look at some of the new kids on the block frameworks too! Spincast ( https://www.spincast.org ) for example... A very flexible Java framework! Hi @Electrotype, thanks for suggestion, didn't know about that :-) keep in touch.